I may have mentioned it before, but I totally judge a book by its cover. No…I’m not saying that as a metaphoric statement. I judge actual books by their actual covers. I’m completely convinced to pick up a book if it has a great picture on the cover, uses an eye-catching font, or has a snappy title. This time around I was won over by, not so much a snappy title, but an apt one. 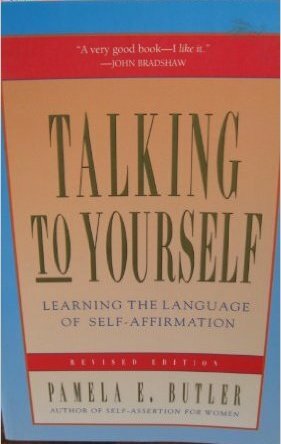 I came across this book at Chapters after I’d had three back to back sessions during which all three of my clients spoke about their people pleasing ways. I’m pretty sure that the title of this book convinced me to buy it on the spot. I had such high hopes for this book. Seriously, the title and the chapter names were so convincing that I was like, “This book will be amazing! All my clients will need to read it! !” Aaaaaand I was wrong. Right in the introduction, I was rubbed the wrong way by this book. While the author explicitly states that she is not victim blaming, I still had a weird vibe from the language that she used and the way that being a “nice girl” was presented. 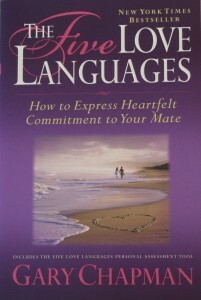 I immediately did not want any of my clients to read this book. With that being said, I decided to power through with reading it. I was annoyed to find that, at times, the author made some really good points. Like good to the point where I would take a picture of the sentence on my phone so that I wouldn’t forget it. Damn it…after the introduction, I wanted to find more and more reasons to not like this book. Instead, I seemed to develop a hate and tolerate relationship with it. 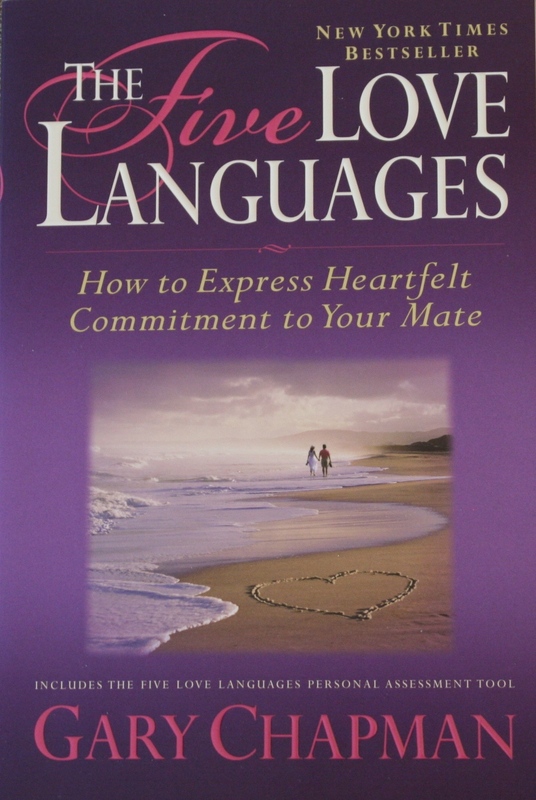 So, I’m admittedly hesitant to recommend this book. The cringe worthy moments outranked the good moments too much in my mind. I felt uncomfortable with a lot of the wording and I worry about the effects that those words could have on certain readers. Words are powerful. However, if you are able to put aside any emotional response to what you’re reading (unlike me, obviously) and you are curious about what some of the false beliefs linked to being a “nice girl” might be, then go for it…pick up this book and find the really good moments. Otherwise, maybe leave this book alone and leave it to me to find another, more comprehensive and less offensive, book for the people pleasers. How can one whole generation be termed “in-betweeners”? Well, in my opinion, we have thoroughly experienced two very different worlds. We lived have lived in a time when technology didn’t matter as much and we now live in a time where technology is everything. When we grew up, the Internet wasn’t really a thing yet. There was no Google and we used dictionaries and encyclopaedias to look up information. Social media came into play when we were already in our university years (or beyond) and our lives were not documented on the Internet for the world to see. Now, things are different and we have embraced that world too. We live by our phones and feel disconnected from the world if we aren’t checking our texts, email, or social media sites every few minutes. Google teaches us everything we need to know and we can get by with screens instead of paper. We are also more restless, impulsive, and pressured than in the past. So, you’re probably wondering why I’m talking about this. Who really cares that there is a demographic that has experienced both sides of the coin to the fullest degree? 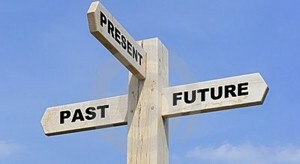 Well, I’ve been wondering if there is a link between all of those lost, anxious, and depressed individuals that are walking into my office and this idea of an “in-between generation.” Seeing as we grew up and developed in a slower paced and less technological world, could anxiety, depression and identity issues be the price we pay for adaptation? Or are they more so a product of our fast paced, pressure driven society? Or, to give another option, is all of this completely random and I just happen to draw a lot of similar people into my office? Any of those are possible, I’ll admit. What are your thoughts on this observation of mine? 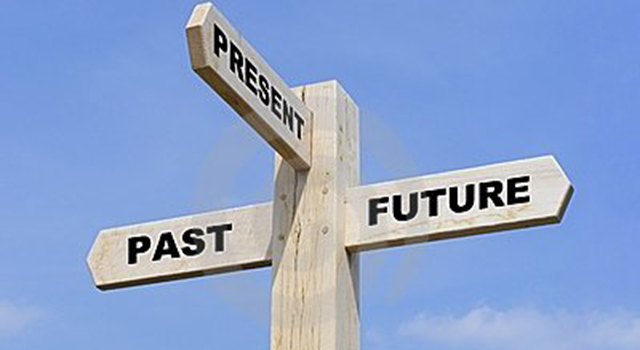 Do you find yourself caught in an in-between generation? I know I certainly do – there are definitely moments when I yearn for the simplicity of my youth and I’m annoyed by how quickly everything needs to move now. Ok, I’m back to reading! I’ll confess that I always find it challenging to pick up work-related and/or psychology-focused books after the holiday season. For some reason my brain just wants to linger in its relaxed, think-about-nothing-serious kind of state and I tend towards fun, easy to read novel. But alas, today it is exactly one month post-Christmas, so it’s time to get back into the swing of reading. I chose to be nicer to myself though and ease myself in with a magazine as opposed to a book. I’ll admit it…I’m not a fan of the fact that National Geographic recently shifted from its non-profit roots to being majority owned by 21st Century Fox. It annoys me to the point of contemplating a boycott…but then I see a National Geographic magazine on the newsstands and they just look so damn appealing. So here we are, talking about National Geographic’s Your Brain: A User’s Guide. This magazine, as the title advertises, teaches the readers about the brain. Readers will learn about the learning, perceptive, unconscious, emotional, and aging brain. Sprinkled throughout the magazine are bright and relevant pictures, sidebars with interesting stories, and 100 facts that you may not have known about the brain. This may seem like a relatively lame choice for my first review of 2016 and, in a way, I would agree. For me (and any other professionals, I would assume), this magazine reminded me of information that I learned waaaaay back in my undergraduate program when we would study the brain in 100/200 level courses. That’s cool – I don’t shy away from reminders and it’s been a while since I’ve read about that sort of stuff. It’s probably not a huge surprise to hear that my favourite chapters (yes, this magazine is split into chapters) were on the Unconscious Brain and the Emotional Brain. In those chapters, you can learn about mapping emotions, positive and negative emotions, mental health, dreams, altered states, and the importance of sleep for our brain (among other things). My penchant for describing complex concepts in a simplistic, easy to read manner was definitely satisfied with this magazine. I would recommend it for anybody looking to learn more about the brain, particularly the emotional and unconscious sides. After all, an understanding of the brain can give you a good foundation of knowledge for when you are considering the ups and downs of life. Interested in this magazine? Click here! It’s only available on shelves until 02/12/16. 2016 is 18 days old now. So, for those of you who made resolutions, how are those working out so far? I’m going to guess that many of you have already abandoned them. It’s an educated guess, as studies show that a large portion of people making resolutions end up dropping them within the first month. In fact, today (the third Monday of January) is termed “Blue Monday” and I would venture to guess that some of those blues stem from failures due to resolutions. Balance is about giving permission when needed, not making excuses. I caught myself making excuses the other day in the name of balance. I had some work tasks that needed to be achieved and my motivation was at an exceptional low. I tried to tell myself that, since I’d seen clients earlier in the day, I didn’t have to do this more administrative type of work…I needed to create balance by having some lazy time. Nope, that’s not how it works. Laziness and lack of motivation are not the basis of creating balance. I realized the difference between permission and excuses when I allowed myself to leave a social engagement early to get some rest (I had a bit of a cold). It could have been quite easy to completely abandon the social event to rest all day, but instead I did a little bit of social time before giving myself permission to have a little bit of rest time. Balance involves embracing your weekends and vacations. This is definitely the hugest change that I’ve made so far. I wouldn’t consider myself a workaholic, but I have developed the habit of “multitasking” at home and puttering away on little work projects while watching TV. I put multitasking in quotes there because I could never really tell you what was happening on the TV, just about the work that I was doing. I found myself saying to people that I work all the time with a shrug and slight frown on my face. Not cool. I spent sooooo much time working that I began to miss out on hobbies, social engagements, relaxation, and exercise. So going into 2016, I knew that this would be my biggest change. I’ve started to embrace the weekend. I do not do any work on my days off, unless I am completely motivated and really want to…much different from before when I felt like I should always be doing work and I spent a lot of time forcing that belief. Already, I’ve found myself achieving more non-work projects and taking time to do the little things that I enjoy. Balance teaches you to work with your perceived flaws and accept yourself. This part is definitely a work in progress, but I’m starting to accept certain aspects of me that were interfering with balance in the past. For example, I am totally a night owl. It’s like my brain turns on around 8pm, making me the most productive at the most inopportune times of day. In the latter half of 2015, I tried really hard to live like a “normal” person. I went to bed at 1030…and I would lay there wide awake for hours. I would set an alarm and wake up at 630am…and then I would be horribly tired and unproductive until about noon. What a waste of time. For the past three weeks, I have re-embraced my night owl nature and allowed myself to take advantage of my productive times of day. Given that I work mostly in the evenings, I have taken to not setting an alarm and allowing myself to wake up naturally each day. I decided to let any snarky remarks that people will shoot my way just roll off me (i.e. “You didn’t get up till 10am on a Monday? Must be nice…”). And what can I say? It’s been fabulous. On this Blue Monday, I encourage you to take some time to consider the success and moments of learning that you have already experienced in 2016. How have your resolutions or 2016 themes been panning out? I’ve been on a bit of a J.K. Rowling kick lately. For probably the millionth time, I’ve been reading the Harry Potter series and it has successfully distracted me from all other tasks. J.K. Rowling is one of my favourite authors and Harry Potter is definitely one of my most favourite book series. As a counsellor, I feel like I can appreciate so many aspects and levels of that series – the psychological torment that Harry feels throughout, the grief of losing loved ones, and the Dementors being a physical representation of depression. But alas, this is not a post about the delights and nuances of the Harry Potter series. 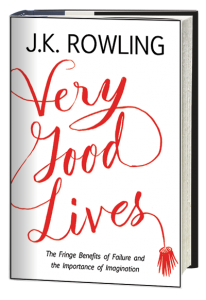 This post is about a new release bearing J.K. Rowling’s name: Very Good Lives. 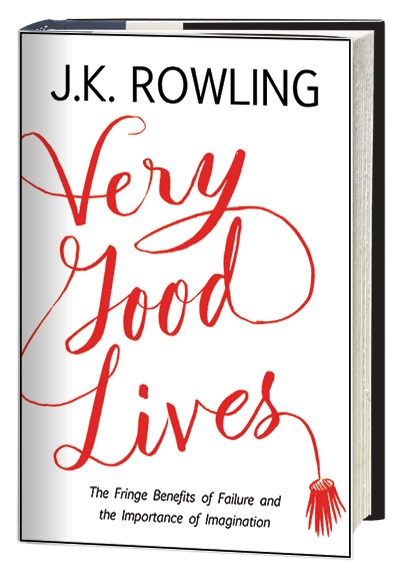 It turns out that Very Good Lives is actually a commencement address that J.K. Rowling gave at Harvard University. She labels her main points in the speech as the benefits of failure and the importance of creativity and imagination. Anyone who has read about J.K. Rowling or read any of her books will know that she is well versed in both imagination and experiences of failure. However, as I was reading this book, I noticed that the speech is really a discussion of defying expectations, building foundations, learning through experience, and the importance of empathy. This book is short and sweet…and I loved it. While it is not a psychology book, it brings to the forefront basic principles that we all need to understand in a most simplistic and genuine fashion. It is funny, heartfelt, and there are even some Harry Potter references for all the fans out there. Though graduation gifts are the most obvious reason aim for publishing this book, I encourage anyone and everyone to read it – it won’t take very long! 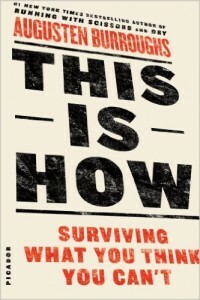 It may even help you to gain some insight and perspective, while still being an entertaining read. Could you expect anything else from J.K. Rowling? There are several ways that I can tell it’s almost summer. The sun is out, people on the street seem infinitely more cheerful, patios are filling up at the end of the work day….ok, those are all pretty obvious signs. What’s the biggest sign of summer for me? My motivation seems to practically disappear in the summer months…and I can feel it already starting. I’m not a huge fan of the sun (not a popular statement usually) and putting effort into things in during the hot summer months often feels ridiculously exhausting. Breaking down tasks into small, manageable steps is the only thing that usually saves me and makes me a functional and productive person in the summer. 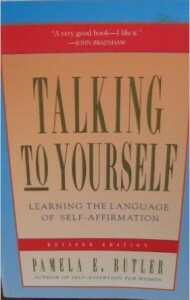 So this week, I put aside all of my other books and read a book purely for my own self-interest. 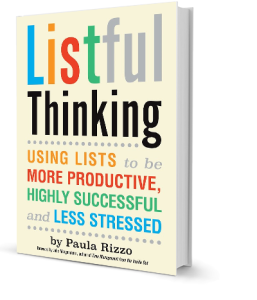 In Listful Thinking, Paula Rizzo discusses the use of lists in our daily lives. She describes how to make better use of lists in your personal life, for work purposes, during event planning, and when moving, just to name a few. Rizzo is really open about her love for lists. Not only does she describe her own success stories with lists, but she also discusses the successes of friends, family, colleagues and other professionals. I love lists. I frequently use lists (in their varying forms) as a tool in my counselling sessions with clients – they just have so many benefits, even if it is only being able to see a visual representation of what is being discussed. They can also be super helpful for externalizing information, productivity, organization, motivation, and task breakdown. I’ll admit it – this book produced no major revelations for me. Yet, it was still an easy and entertaining read. It was a nice reminder for me of some ways to get my motivation rolling again. I would recommend this book to anyone who is in need of some simple strategies for when their motivation is stalled or they are feeling overwhelmingly disorganized. Interested in buying the book? Click here.